Peter Abaci, MD, Dr. Abaci is one of the world’s leading experts on pain and integrative medicine. He is a dedicated healer, author, and radio celebrity. It’s been a tumultuous year for patients who rely on the routine use of opioid painkillers. 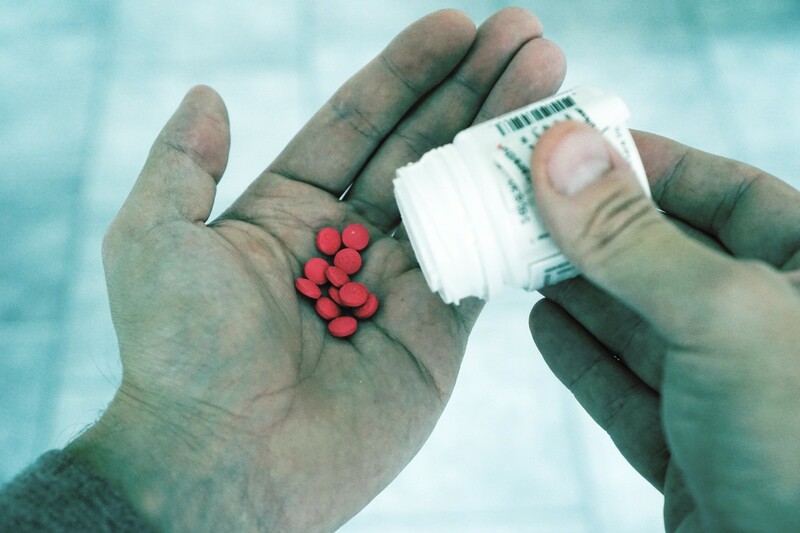 Concerns over the rise in overdose deaths has led to a “code red” state of alarm surrounding the prescribing of opioids, resulting in mounting pressure to drastically limit their role in pain management from multiple key sources. Taking into consideration that an estimated 1 out of every 5 patients with non-cancer pain are prescribed opioids and that doctors traditionally dispense over 650,000 prescriptions per day for opioid painkillers, curtailing the routine use of opioids for treating a myriad of pain problems will have a huge impact on millions of chronic pain patients. CDC Guidelines for Prescribing Opioids for Chronic Pain: In March, the CDC issued strict guidelines to physicians for prescribing opioids for chronic pain to help fight an epidemic of addiction, abuse, and the rising tide of accidental overdose deaths from prescription opioids. Not only did the CDC let physicians know that they needed to tighten up their practices and become much more judicious in their use of opioid-based pain killers, but doctors were also put on notice that in most cases they probably shouldn’t be prescribing them anyway. The Media Piles On: The mainstream media has been rough on doctors and painkillers. First, Prince’s tragic death hit the news as a probable painkiller overdose, and shortly after that CNN jumped on the bandwagon when it broadcast “Town Hall Prescription Addiction: Made in the USA.” Doctors started taking the blame for America’s painkiller addiction woes on national television and were called out to clean up the mess. Don’t Be A Guinea Pig: Just because your doctor is saying “no” to opioids doesn’t mean you have to say “yes” to every new procedure or drug that comes down the pike. I have been treating pain for 20 years, and I can tell you that most of the new whiz-bang devices that come out to treat pain don’t really pan out, and some can be dangerous in inexperienced hands. The same holds true when a sales rep tells you about the latest and greatest new drug when their long-term safety and efficacy is often poorly understood. My advice is to let others try what’s new and monitor how they do for a while before exposing yourself to the same treatment. Choosing medical care out of desperation can lead to very unfortunate consequences. If your back is still hurting after three surgeries, do you really think the fourth is going to permanently solve all of your problems? · Spend Wisely: The urge to seek out alternative and less-traditional treatments can be a good thing or a big waste of money. All the negative press about opioids has many alternative practitioners chomping at the bit for your business. For example, within a New York minute of the CDC guidelines coming out, the American Chiropractic Association seized the moment to proclaim itself as the safer pain treatment alternative, noting chiropractors “are well-positioned to play a vital role in the conservative management of acute and chronic pain.” While alternative therapies like massage, acupuncture, and chiropractic can help ease pain, treatments can be costly and often not covered by traditional insurance plans. Try to do some research on what approaches could be most appropriate for your particular situation and seek out practitioners with a good reputation. And be wary of some practitioners who try to make added profits by selling you a bunch of supplements and products before you get out the door. · Ask About MAT: MAT stands for medication-assisted treatment for opioid dependence. If you have been on opioid painkillers for a while and are faced with having to go off of them, realize that there are medication options out there that can not only make this process more tolerable but ultimately more successful. Most experts agree that medication assistance works better for opioid detox than abstinence. Unfortunately, there is still a lot of pushback from insurance plans in covering MAT therapy medications like buprenorphine despite demand for greater access from the Obama administration. Be prepared to be a squeaky wheel! · Dive Deeper: Going beyond painkillers is in some ways an opportunity for personal growth. Now might be the time to better understand both your body and your inner self to get to the root underlying causes of the pain. If you have been treating things like tight muscles, stiff joints, stress, and even panic attacks with mostly pills, then you probably haven’t fully addressed some of the core causes of why you hurt, and therefore have missed out on opportunities for recovery. Most primary care physicians don’t have the time or the expertise to make this all happen in a quick office visit, so this is where you need to seek added help. Finding a psychologist who specializes in chronic pain can help you learn tools for success and provide a valuable sounding board of support. And just as your car needs regular tune-ups to run smoothly, consider getting routine assessments and treatments from a movement specialist such as a trusted physical therapist. · Think Outside Of The Pill Box: There is a myriad of ways of treating even the most complex chronic pain problems. Everything from meditation, to tai chi, to exercising can play a valuable role in a pain management plan. The more tools you learn, the less dependent you will feel on medications for getting through the day.